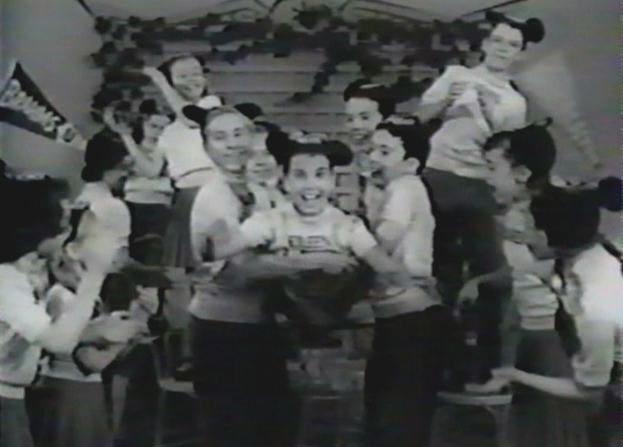 The table below contains all known Mouseketeer Fun With Music Day skits appearing during the second season of the original Mickey Mouse Club, by order of broadcast. If you find that your favorite number doesn't appear here, it might have been on Anything Can Happen Day. 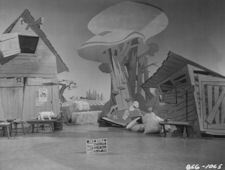 When this season's skits had an intro it was usually done in voiceover by newsreel announcer Hal Gibney. 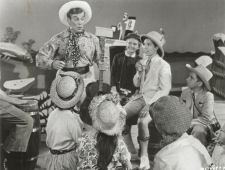 Storylines and dialogue writing credits for the skits may be assumed to be Sid MIller, Tom Adair, Larry Orenstein, and to a lesser extent Ray Brenner. Song credits are listed in parantheses. Where available, images and video links have been provided from the actual show. For some of the shows there is no picture or information available. 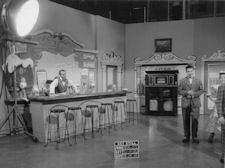 Only original broadcast appearences are listed; reruns are excluded. Note that some musical numbers or photos might be incorrectly assigned to a particular show. While all shows are listed, the songs and other credits for them are incomplete. Most of the information below was extracted from original research done by Bill Cotter, however, any errors of fact or mistakes in interpretation are my own. 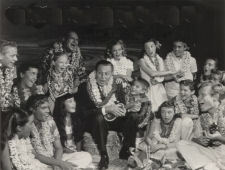 Quite a few photos, descriptions, and cast lists come courtesy of Rick from Dallas (RfD) and Randall Nakashima. 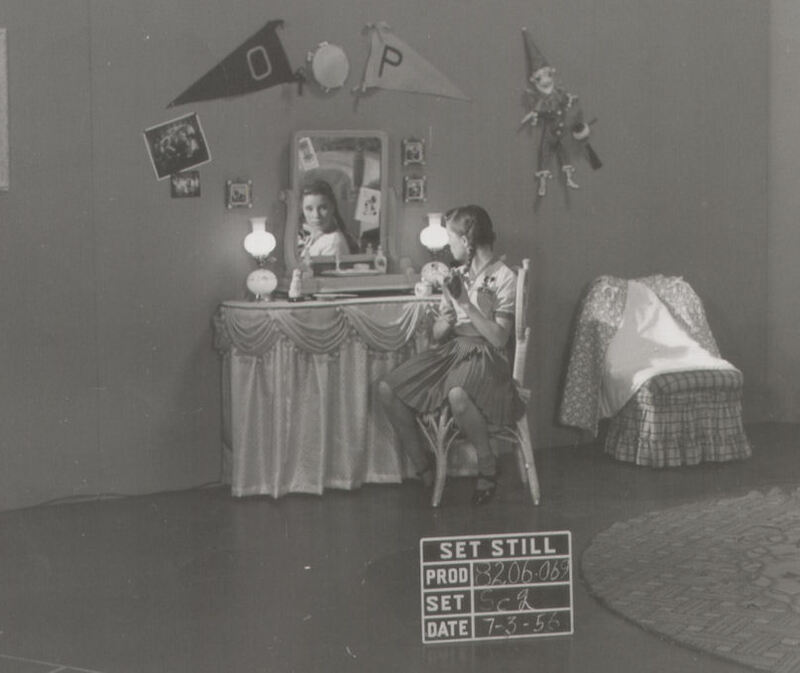 Shooting gallery operator Darlene laments her single condition until Bobby shows up. 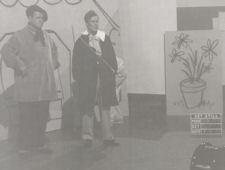 The Mellomen provide singing voices for the four guys who serve as targets in the gallery. The second season opener was a surprise for touching on teen romance and even more so for celebrating a non-Disney amusement park. 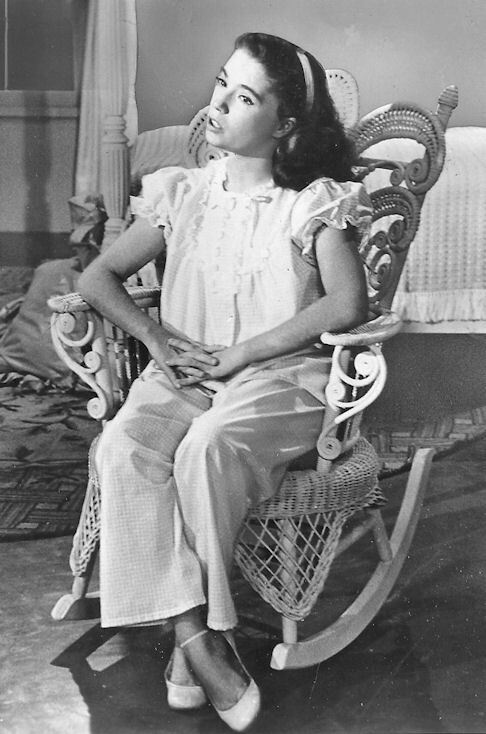 Sid Miller, usually a perfectionist, allowed footage of Darlene being overcome by the giggles to stand at the opening of the second scene. 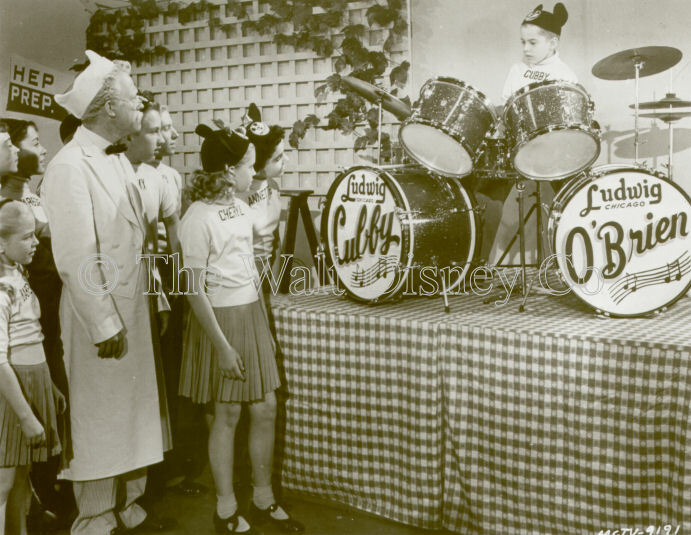 Jimmie and the kids bop to the first song, then Cubby plays his drums to pay his soda fountain bill. Terrific staging and choreography, and the kid's own feel for the music, made this a real treat. A good example of what the show might have become, but didn't. 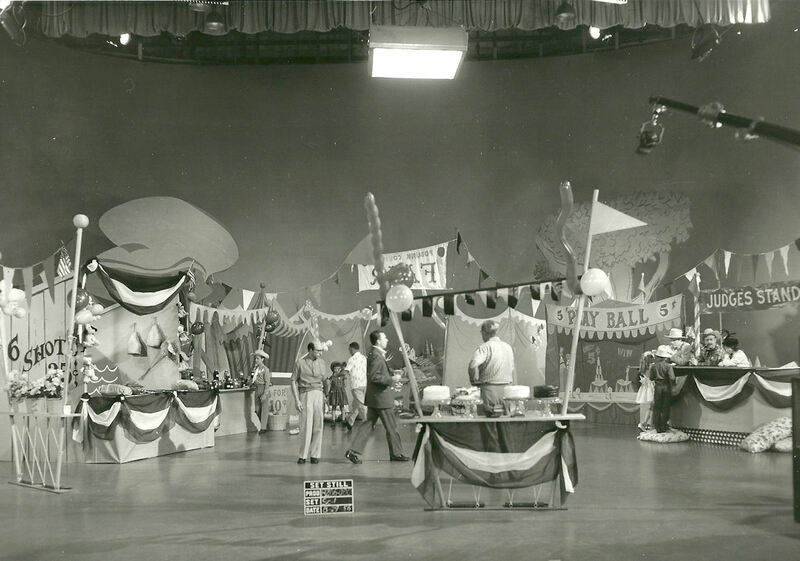 Introduces two elements common to other skits this season: Bob's Sweet Shoppe, with Bob Amsberry as the elderly sodajerk, and the choreography built around three or four couples. There would be no more character or story type dancing as in the first season. 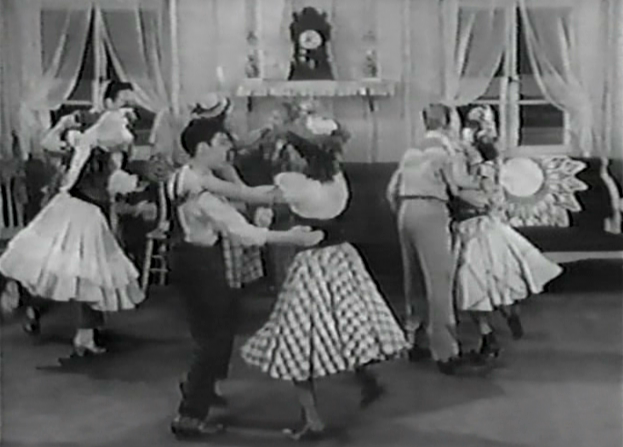 Jimmie pairs up couples at a party circa 1910; there's square dancing and four boys demonstrate their moves. 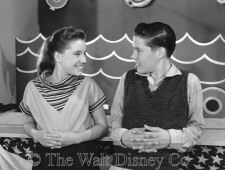 Later Lonnie and Dennis compete for Doreen, who favors the latter. It seems apparent producer Bill Walsh "front-loaded" the MMC schedule for FWM days with eight strong shows in a row. 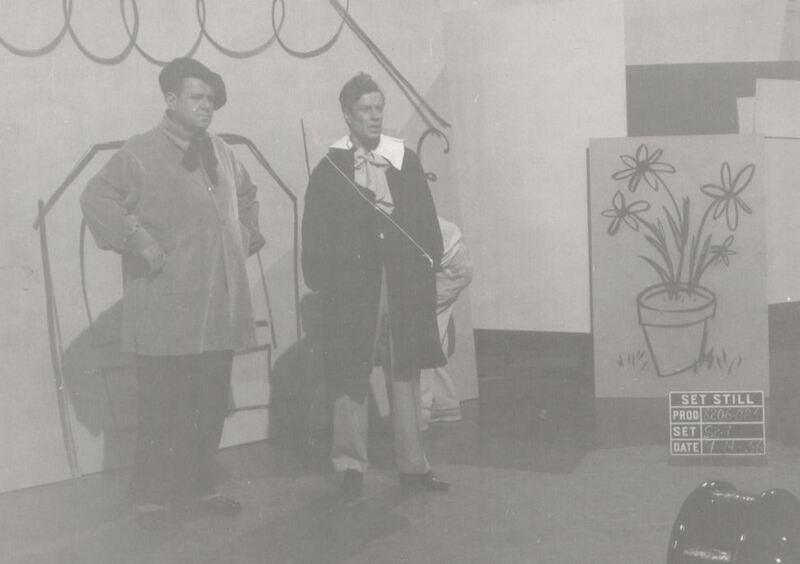 Thereafter the quality of skits became more hit or miss, a couple of good shows alternating with some weak efforts. A true ensemble piece with everyone getting in on the action. 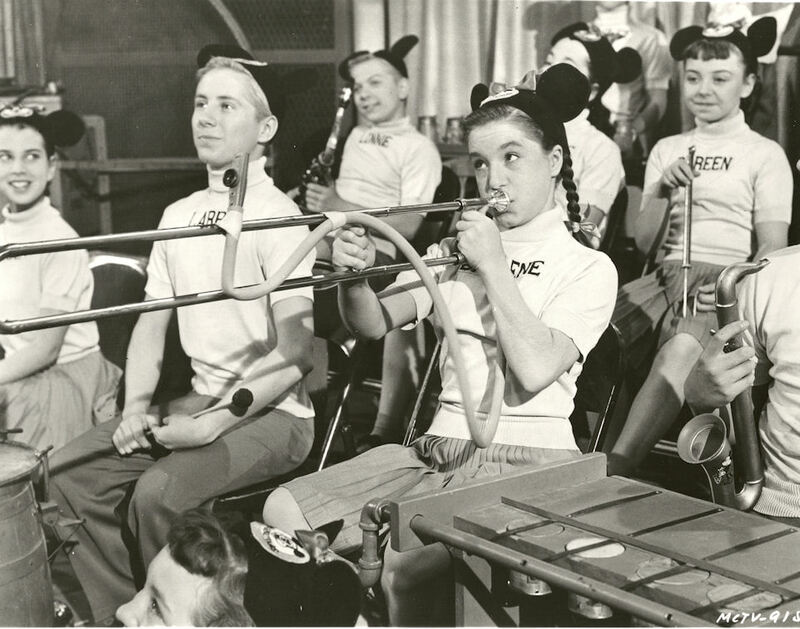 The kids wander into the Sound Effects room and try out the equipment, the sort of foray that got the Rooney boys canned in the first season. 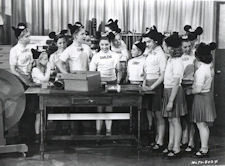 Later Jimmie leads the Mouseketeers in a rendition of a von Suppé overture. 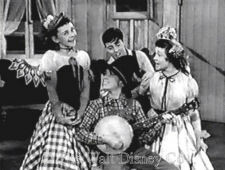 Frequently shown on highlight shows, the first song had lyrics by Cliff Edwards (Ukelele Ike/Jiminy Cricket) while the special effects soundtrack for the second number was by Jimmy MacDonald from a 1930's Mickey Mouse cartoon. 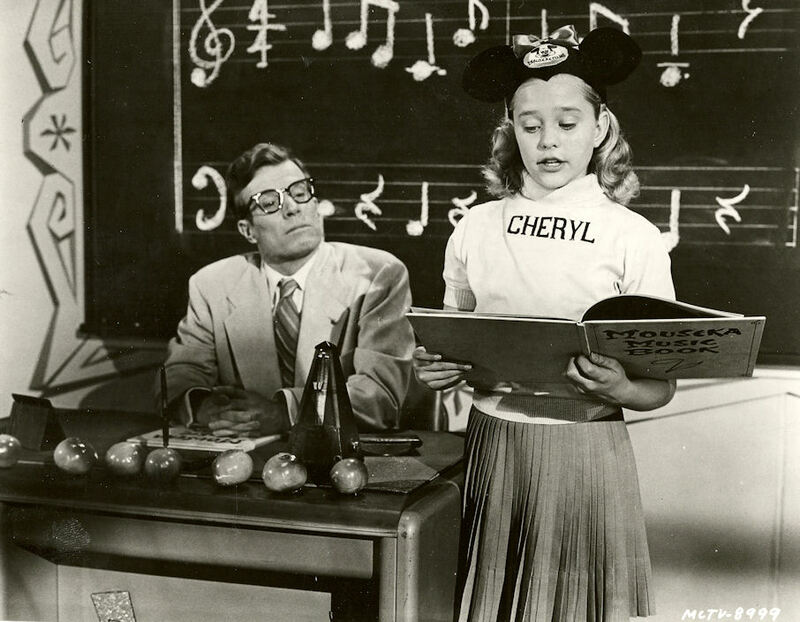 Starts off in the Mousekamusic room with Jimmie as teacher and Cheryl reading the lesson then goes to a 19th Century Irish village for songs by Darlene and Tommy. Bobby plays a rather demonic and oversized leprechaun, while Roy is a gruff shillelagh shop owner. Walt Disney's personal likes were well-known to his creative staff. They indulged him with this bit of blarney, which works in spite of the limp storyline. Tommy sang a late 19th Century ballad by an Irish immigrant to Australia. The mice teach Doreen how to play Hop Scotch Hop, assisted by Bob Amsberry, before lamplighter Roy chases them home. Darlene then sings an evening hymn alone in her room. 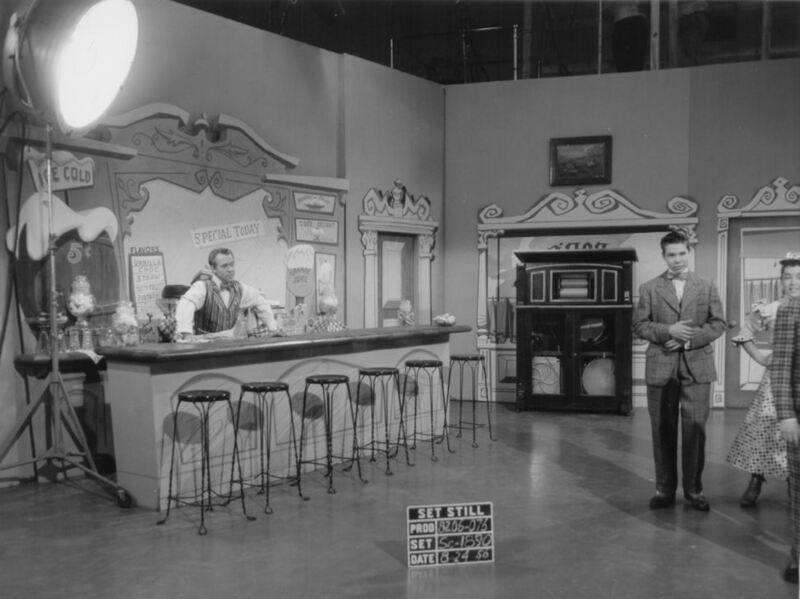 This day's show illustrates how simple storylines and effects could make for successful numbers by highlighting the talent and appeal of the performers. 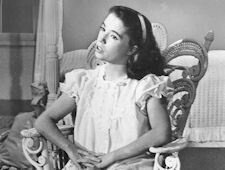 Tom Adair added a topical reference to what felt like one of the 1940's radio shows he used to write, while Darlene did a beautiful job with Jimmie Dodd's non-denominational evensong. Captain Roy delivers tourists Lonnie, Bobby, Tommy, Doreen, Eileen, and Cheryl to Trinidad, where banana seller Dennis is worried about his business. Jimmie and the locals help everyone get acquainted through calypso music. 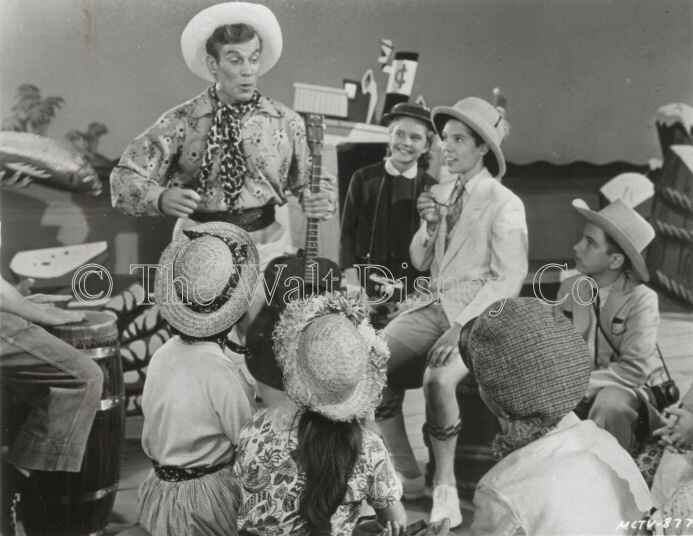 The US was swept by a brief calypso craze during 1956, which gave rise to this show and another in the third season. 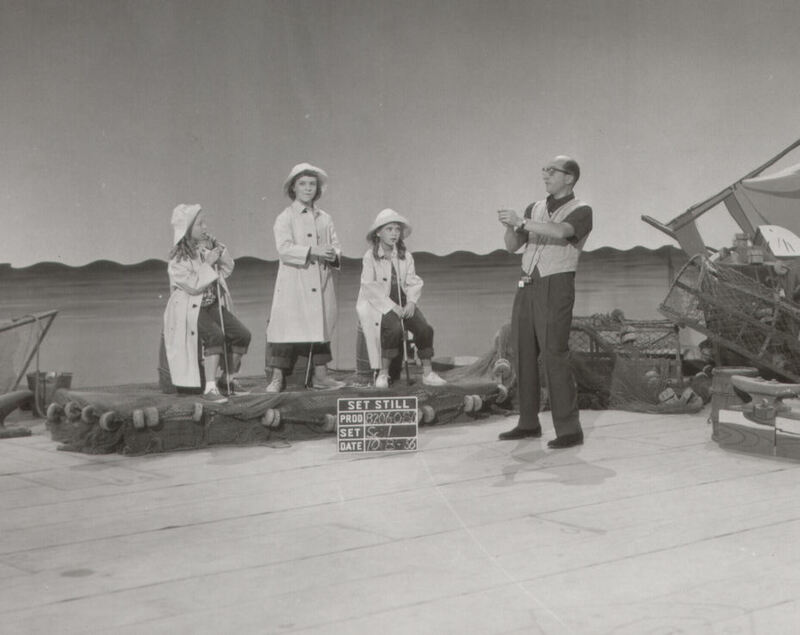 Though the cast was ethnically-challenged, the quality of musical arrangements, choreography, and performers ensured the skit's success. 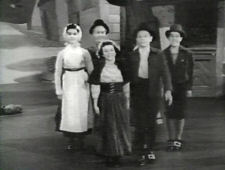 Karen and Cubby sing, while the other tramps are led by Darlene in the Tramp Ballet. Bob Amsberry plays a sour role as a railway cop. Eileen does a take off on her jumping bit in Sweetshop Rock, while Darlene slips and sprawls head first on the stage but jumps back up and keeps going. An odd storyline for the MMC which usually avoided even mild satire. Odd too the choice of Gershwin's celebration of idleness, a counterpoint to the Doddisms. 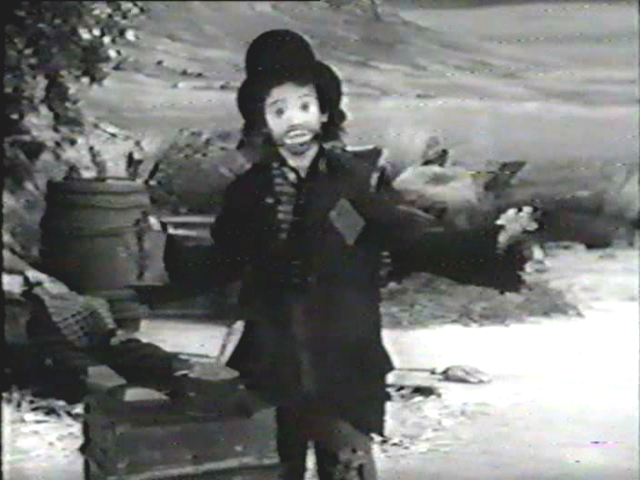 The third season would also feature a "tramp" show. 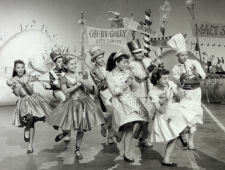 A shooting script says the opening number was an ensemble effort, celebrating morning in a Montemarte square, with singing done in turns by different cast members. MMC records however have the song done only by Darlene. 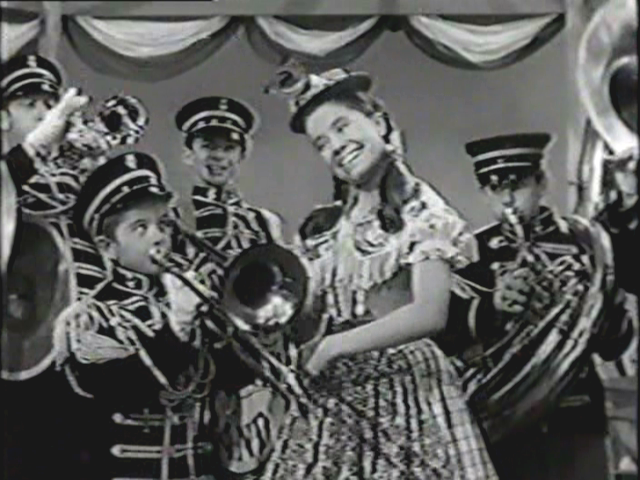 The second song had Annette as a ballet student encouraged by flower vendor Jimmie, who sings in praise of her as Bobby joins her in a pas de deux. Annette's serial committments limited her FWM Day appearences. From the music room class the scene dissolves to Cubby and Karen as little figures in a weather house. 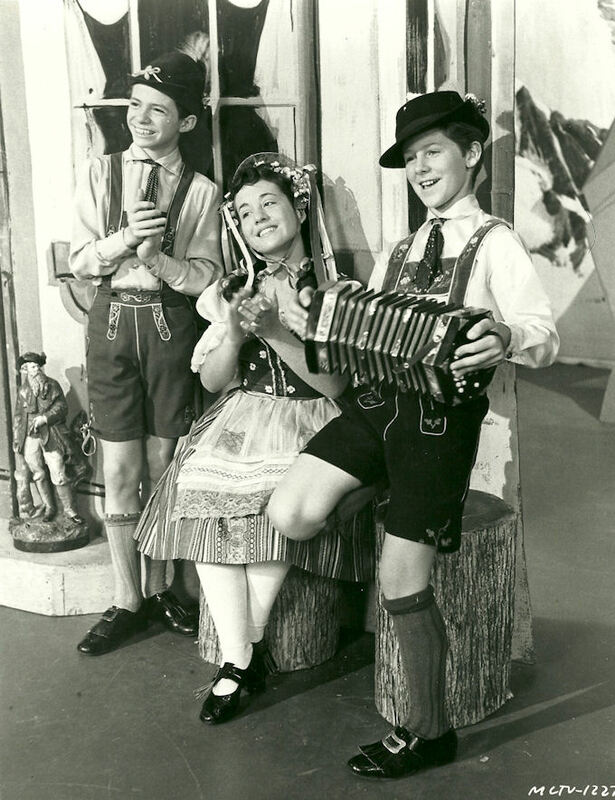 The older kids do the Edelweiss Polka then Roberta Shore appears to teach everyone how to yodel. The first number was also shown during the serial Adventure in Dairyland. Polka is Czech for a Polish girl and the polka comes from that country. 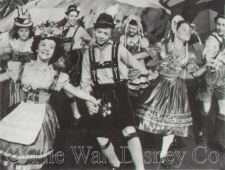 However, Walt Disney loved Switzerland so a tune by Danish composers was given English lyrics and cast as a "Swiss" polka. 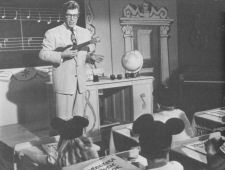 Another Mousekamusic class room start then dissolves to Hawaii where some mice are natives and others are tourists. For Randanll Nakashima's detailed review click here. Walt Disney showed up for photos, but wasn't in the filming. Sherry wore a long black wig and did the hula dancing. The part she played wasn't identified as her in the script and possibly was meant for a guest star. 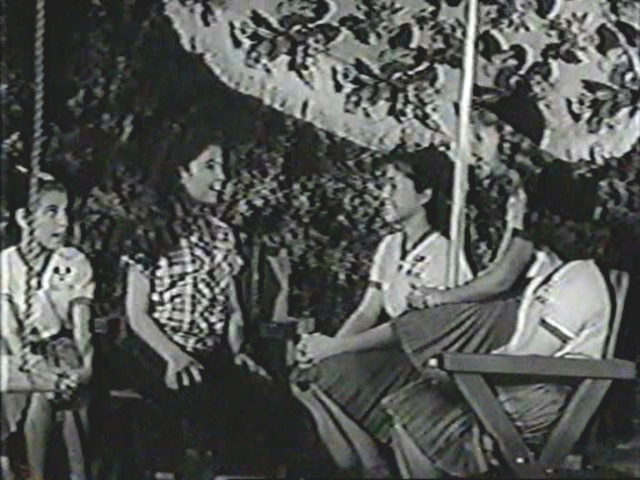 This is the first FWM day filming in which Sherry took part though she had previously done two ACH Day serials. 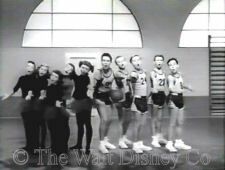 Promotional skit to publicize the Disney movie Westward Ho, the Wagons, released the same week, which featured Karen, Doreen, Tommy, Cubby, and serial actors David Stollery and George Ferrante (Brand Stirling). 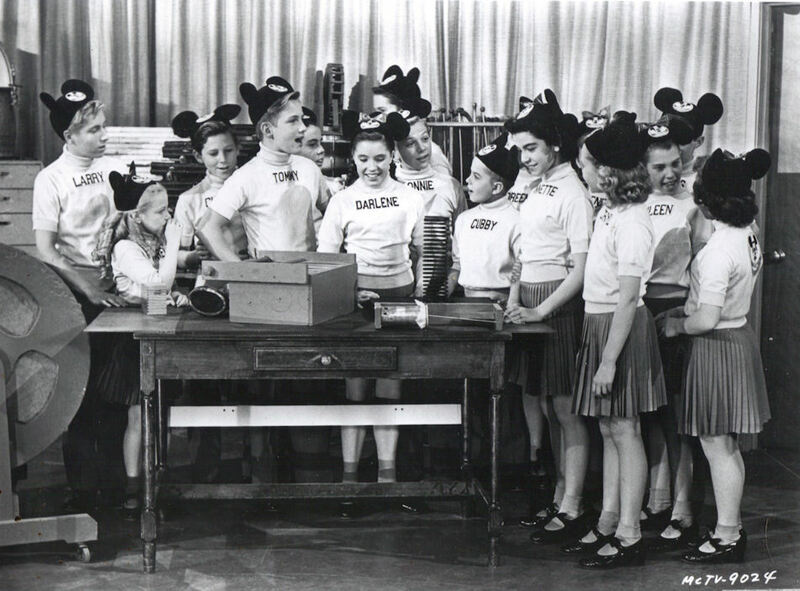 Its likely this featured clips from the movie, as was done with the ACH Day show about Cubby called "A Day in the Life of a Mouseketeer". Guest star Pamela tells the girls about her dream, in which she dances with Bobby then loses him, while the other mice try to get her to smile. Pamela Beaird was already a professional singer and actress when she did this FWM skit and a TRU Day as well. 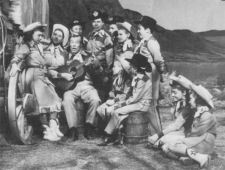 The title song was co-written by Sid Miller's first wife, who later became a well-known talent agent. 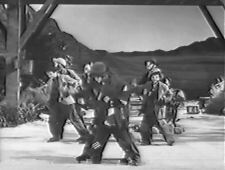 Sid Miller gave the entire dream sequence a look and sound evocative of 1939-40. The boys' basketball team and girls' ballet club vie for use of the gym. The first song was an entertaining pre-Title IX number, one of the best staged pieces of the second season. 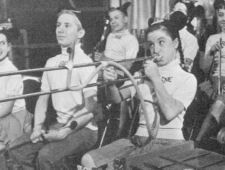 After it finishes the other kids leave, and Eileen who has been playing the piano for them is left alone in the gym. She beautifully renders Beethoven's piece in a dream sequence. At the opening Darlene also sang a few lines from a jazzy version of One Song, from Snow White. 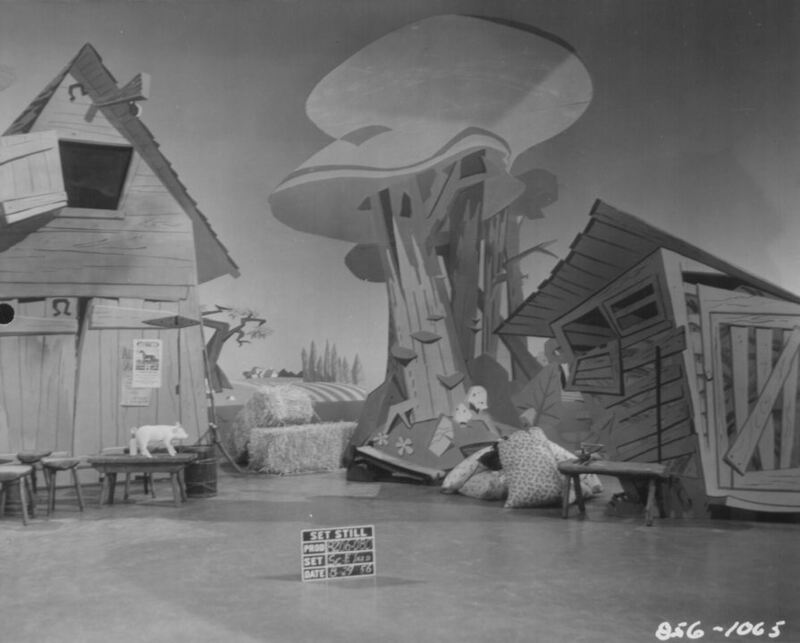 The skit takes place in her bedroom, going to a dream sequence in which she portrays Ed Sullivan, Red Skeleton, and herself performing on Sullivan's show. 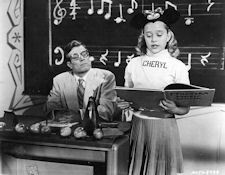 Darlene drove everyone on the set nuts with her Ed Sullivan imitations, which one Mousketeer said "she did incessantly, all day, every day". What ABC may have thought about a skit built around carictures of its two most successful CBS competitors isn't known. 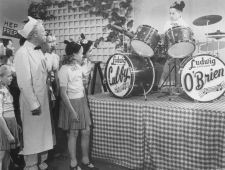 The skit starts in Bob's Sweet Shoppe in 1955 then has flashbacks to 1925 and 1895 for the songs. 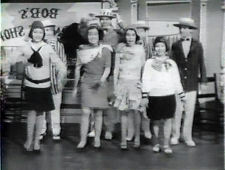 Margene as a flapper, and Bob Amsberry waltzing with Doreen are highlights. Watch for Darlene and Cheryl as shocked old biddies at the end. The whole point of the skit was each generation has its own music that seems "too wild" to their parent's generation. 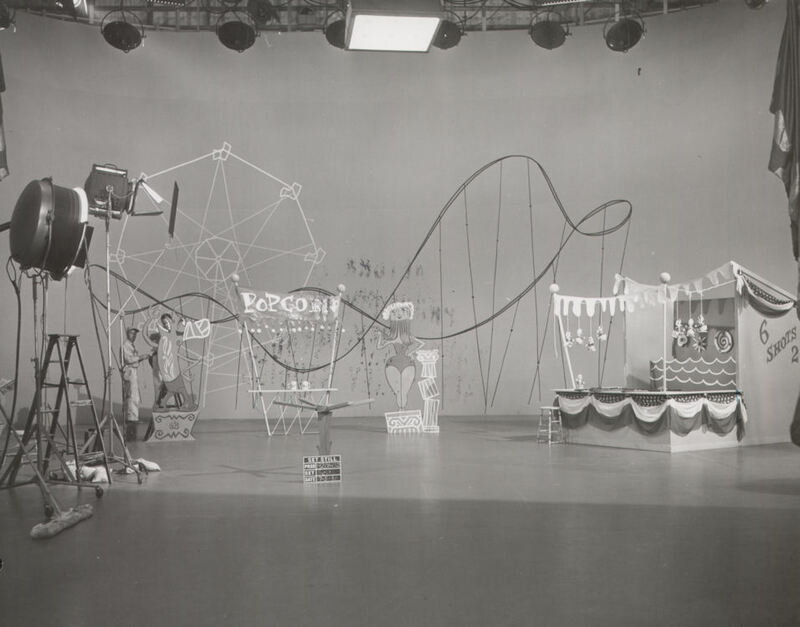 It also was a convienent device for including the sort of music Walt Disney liked best. For storyline and production notes see this summary. Another skit that starts off in Mousekemusic class. 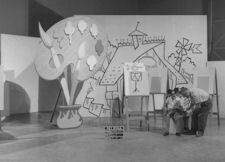 Roy draws a caricature of teacher Jimmie on the board, then obliges the mice when they sing "Draw a Picture" to the tune of Aloutte. 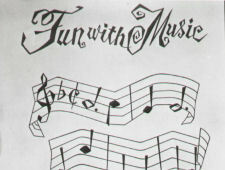 The second song has Roy as the mayor of Scribble Town, where drawings come to life. 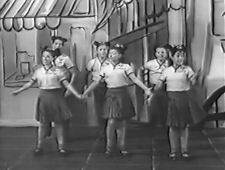 Bobby, Lonnie, Larry, Cubby, Margene, Doreen, Sherry and Sharon do the singing and dancing. 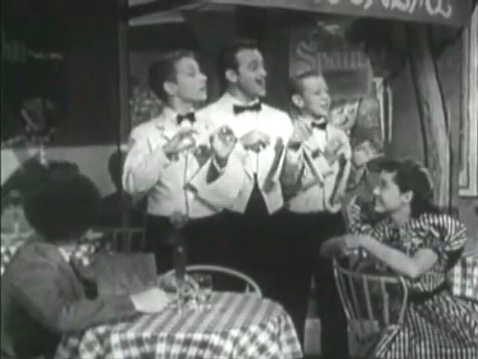 A swinging jazz dance number by the three guys was the highlight. The other half was a song by the three younger girls while fishing from the pier. 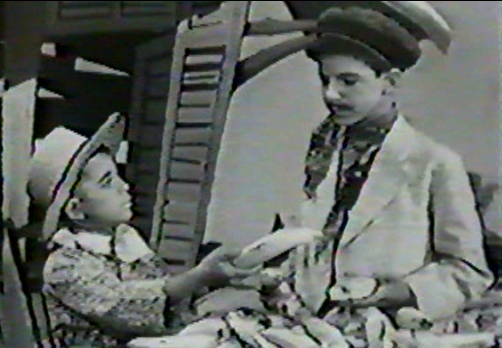 (Jimmie Dodd played a small part as a fish vendor). It's not known which came first in the skit. This was the last FWM skit filmed this season. 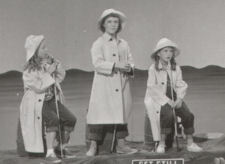 The girls did an old Hoagy Carmichael novelty song, while the boys' number was a parody of A Whale of a Tale in 20,000 Leagues Under the Sea (1955). 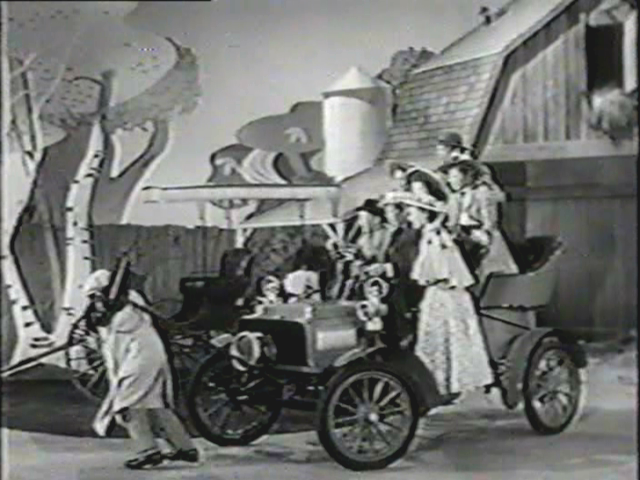 Jay-Jay has a new horseless carriage but after it malfunctions he has to supply the horsepower himself. 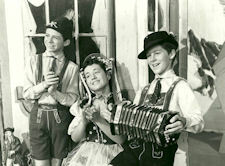 His friends enjoy being entertained by Herman's German Band and its vocalist Fraulein Darlene. There's some question about the authorship of the second song, which I've credited here to Larry Orenstein. It may have been an old vaudeville or music hall staple updated for the MMC. The mice take their pig Lulu Belle to the county fair. Darlene, Jimmie, and Bob play judges. This wasn't broadcast until eight months after it was filmed which may indicate how producer Bill Walsh felt about it. 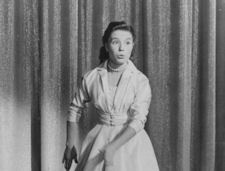 There are only a few photos available from this; a shooing script leaves the impression it was mainly talking and singing with little dancing or other action.